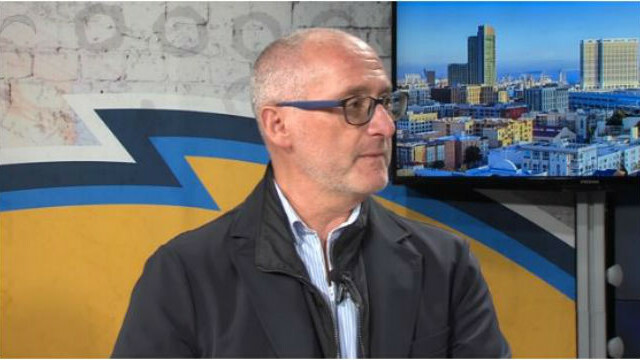 Chargers consultant Fred Maas explains the proposal in a video. The longtime San Diego business and civic leader who tried to bring a football stadium downtown was appointed by Gov. Jerry Brown Tuesday to the California Horse Racing Board of Directors. Fred Maas, 59, is the executive chairman at MRV Systems, a Sorrento Valley provider of marine research vehicles. The Chargers retained Maas in February of last year to create a ballot measure that would lead to construction of a replacement for aging Qualcomm Stadium. The hiring, less than a month after National Football League owners rejected the team’s bid to build a stadium in Carson, resulted in a ballot measure for a downtown facility that would have been combined with convention center space — with the project paid for by a hotel room tax hike. The proposition was defeated by voters, and the NFL subsequently cleared the way for the team to move to Los Angeles, after at least two seasons at an existing stadium in nearby Carson. A Republican, Maas joins a panel that regulates pari-mutuel wagering, promotes horse racing and develops track safety standards. His position requires Senate confirmation. Compensation is $100 per diem.